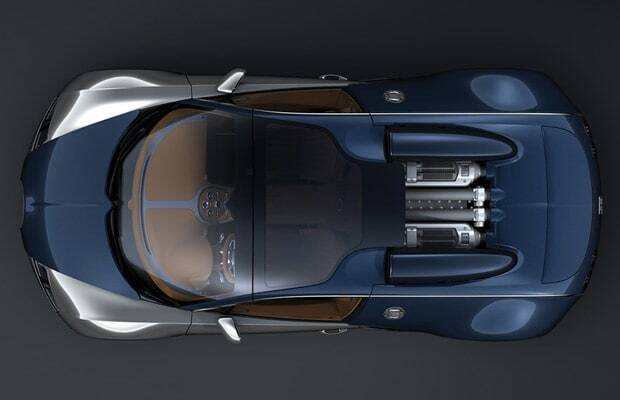 Finishing off the 100-year party at the Pebble Beach Concours, Bugatti released a one-off Grand Sport. The two-tone look does not use two paints, but rather a blue carbon fiber with polished aluminum. The wheels are spun with Midnight Blue and Diamond Cut, and the interior is draped in a Gaucho leather.